Both men and women fall victim to hair loss and baldness, but what are the causes and what can be done about it? We see television ads, internet posts and other advertisements that boast products that can miraculously combat baldness and help you grow hair again, but how much truth is there to these claims and what type of hair loss can be combatted successfully with these products and other hair growth aids? Many people are under the impression that all baldness is hereditary, and don’t think much more about the topic, but the truth is there are many causes for hair loss including medical, environmental and physiological reasons. Medical conditions such as lupus, nutritional deficiencies and hormonal imbalances, to name a few, can cause baldness to occur in both men and women. Environmental conditions such as harsh hair treatments and hairstyles, bacterial and fungal infections can also cause significant hair loss, and emotional factors such as exposure to stress or extreme emotion can also bring on balding patterns so it is important to be aware of all of these factors. If you are experiencing some alopecia (the medical term for hair loss) not all hope is lost. The majority of types of hair loss are treatable, and there are actions you can take to put a stop to baldness and even stimulate new hair growth. There are many causes for hair loss, and as a result there are any treatments. 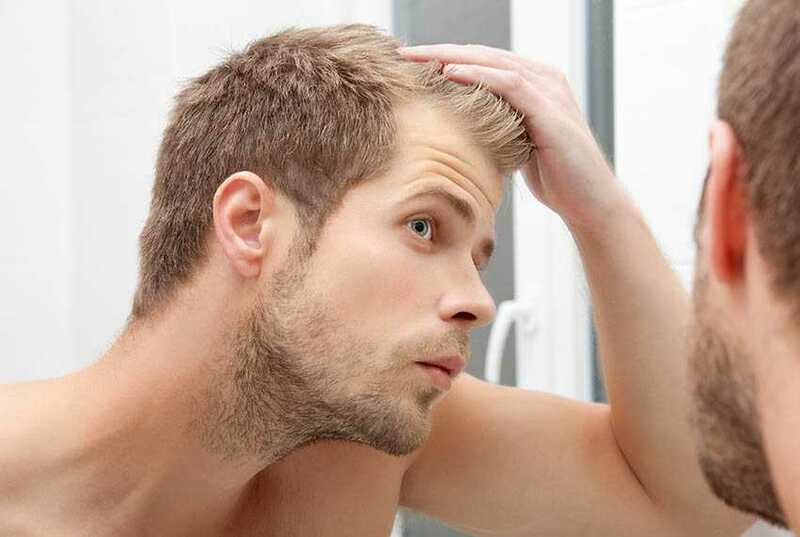 Depending on the reason for the balding, treatment can vary from hair transplants to dietary changes, and sometimes can be as simple as changing bad habits. Treatment depends on the reasons behind the hair loss, and different approaches can be taken to regain hair growth. Often, corrections to diet and ensuring you intake enough vitamins, minerals and protein can help to stimulate hair growth if the baldness is a result of poor diet or dietary deficiencies. If you are causing the hair loss with poor habits such as styling your hair too tightly, causing damage from chemical processing, and things of this nature, sometimes the solution is as easy as to correct the habits. While baldness occurs at the time, correcting your mistakes can allow the follicles and scalp to recover and repair – and sometimes, as easily as it fell out in the first place new hair will begin to grow. There are many other treatments and medications available, ranging from topical creams and ointments, steroid regimens and even surgical procedures if wigs and hair weaves are not enough to satisfy the patient and here at The Wimpole Clinic, we know the treatment required depends very much on both the cause of alopecia and the wishes of the patient. When baldness is thanks to genetics, often, treatment has to get a little more involved. Hair transplants may be the only solution when it comes to considerable hair loss with no underlying medical condition or factor to explain. Hair transplants involve transplanting several thousand healthy hairs and follicles into the scalp where they take root and grow as healthy natural hair again and can offer a great looking head of hair to those who thought that they would siffer with baldness forever. Trying to diagnose and treat hair loss alone is never the best idea and can be extremely frustrating and expensive with no guarantee of seeing results. Always seek the advice of a professional before attempting to treat your hair loss, as experienced consultants, such as those at The Wimpole Clinic can advise and diagnose your baldness, educating you on the best treatments and ensure you are taking the proper, healthy approach to hair growth.